At your last dental visit, your dentist uttered two words that many people fear: root canal. 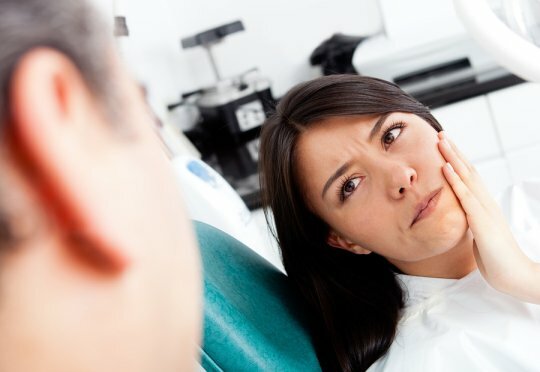 While the procedure will eliminate your lingering tooth pain and hopefully reduce your immense sensitivity to hot and cold, the very idea of a root canal procedure can be a bit frightening. Here is a helpful guide that covers the most important things you should know before getting root canal therapy. When the blood or nerve supply of a tooth, also known as the pulp, is infected, root canal therapy is necessary to remove the infected tissue. Unfortunately, a root canal cannot save the tooth, but by preserving its natural structure, you will be able to chew food and speak properly. Why is root canal therapy needed? If an infection in the pulp of a tooth spreads to the underlying root canal system, it can lead to an abscess, which is an inflamed pus-filled pocket that causes swelling around the tooth. If a root canal is not done, the infection may spread to other areas of the face, you may suffer bone loss around the tip of the root, or the tooth may have to be extracted. During root canal therapy, a dentist will remove the inflamed or infected pulp and carefully clean out and shape the inside of the tooth. Then, they will fill and seal the space to prevent further infection. The final step is for the dentist to place a crown on the tooth to protect its structural integrity. After a root canal procedure is completed, your tooth will function like any other tooth. No, there should not be any root canal pain. With the use of a local anesthetic, the procedure should be no different than if you were having an ordinary filling done. Afterwards, you may feel a bit sore, but that will diminish over time. How long will the root canal procedure take? A root canal is a time-consuming procedure that often involves two or more visits to your dentist. The first appointment may be quite long as the dentist needs to remove the infected tissue and allow any abscesses to drain. Once the tooth is closed and shaped for filling, a temporary cap is put in and the tooth is left to settle. At the next appointment, the tooth is checked and if all is clear, it is permanently filled and capped. Is any special care necessary after treatment? Care instructions will be given out after each appointment, but good oral hygiene and regular dental visits are essential to ensuring the best results. If you are experiencing tooth pain, don’t suffer in silence! Instead, utilize the knowledge and expertise of the West County Dental team in St. Louis, MO to help you find relief.